Alfred Prasad's flavourful sea bass recipe serves the pan-fried fish fillets with fine beans and raw mango. 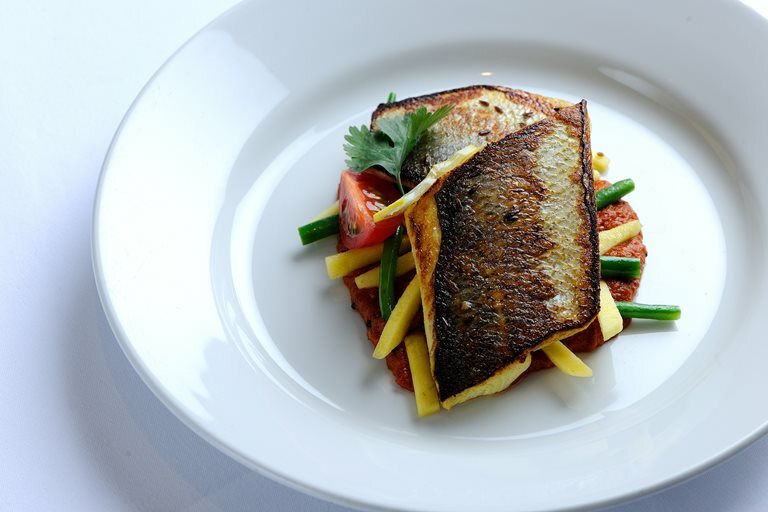 The sea bass is served with a sauce of fresh tomatoes with mustard, curry leaves and coconut. Densely-layered and impressive, this recipe takes a little care and attention to get right - but the end result is well worth the effort. View other fantastic seafood recipes in our seafood collection.